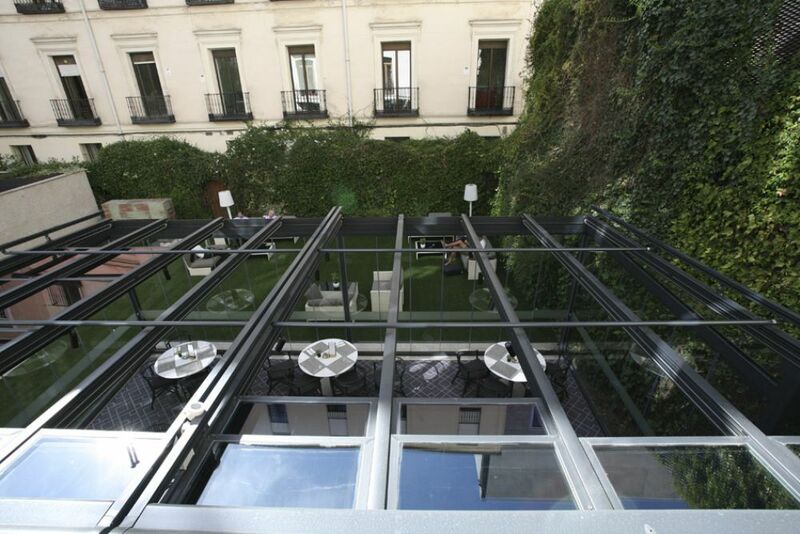 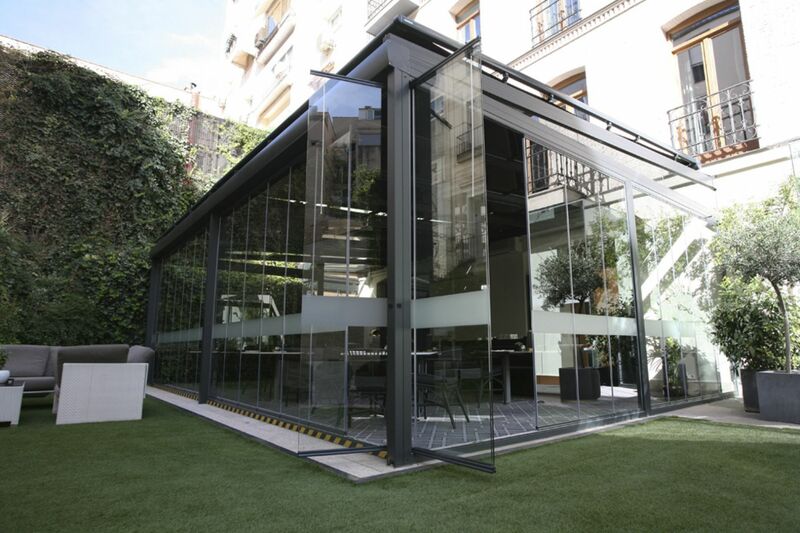 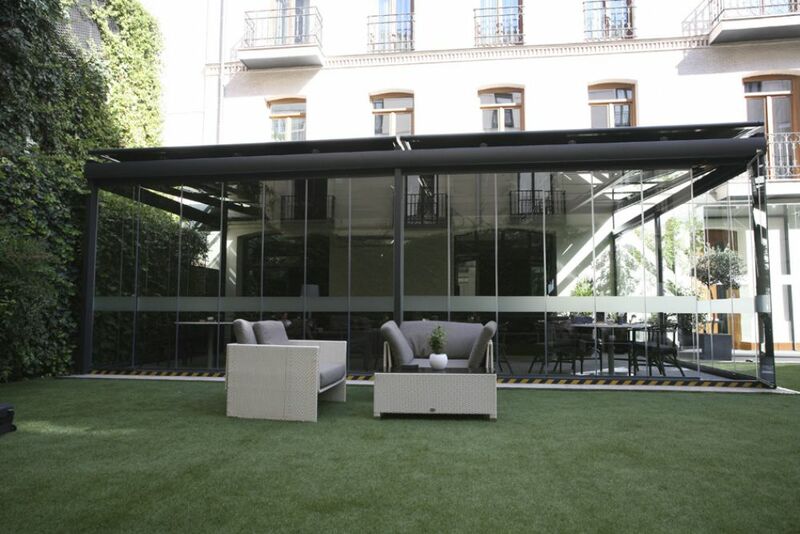 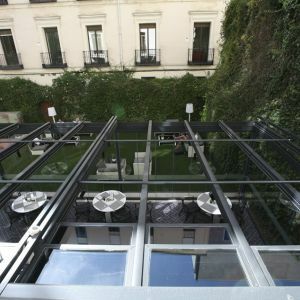 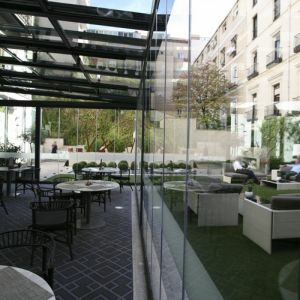 Ramon Freixa restaurant is located in the Hotel Único, in the “Golden Mile” of Madrid, in the Salamanca District. 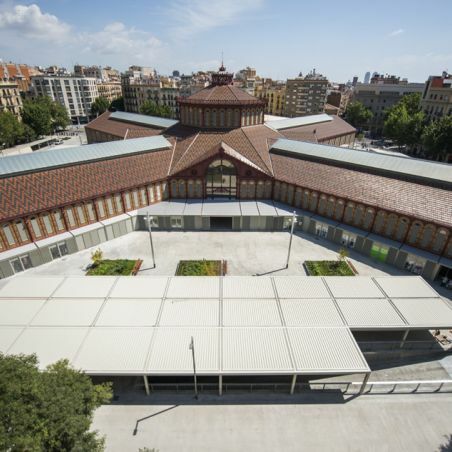 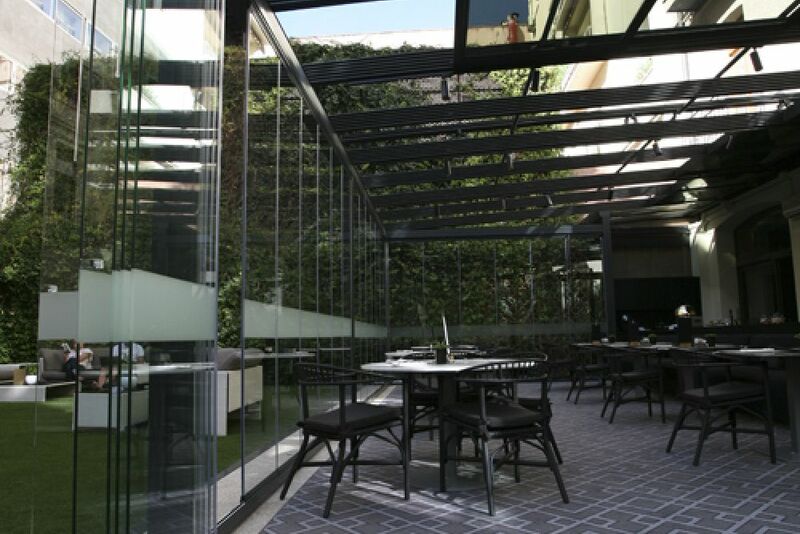 The noble architecture of the hotel hides behind an elegant façade with large windows and a tranquil garden providing access to the restaurant. 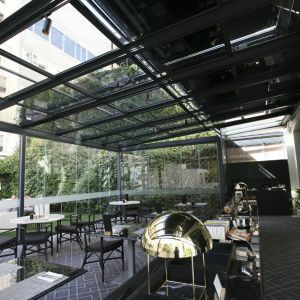 To make better use of the restaurant terrace all year long, a folding Naga-model pergola and a glass curtain, also folding, have been installed. 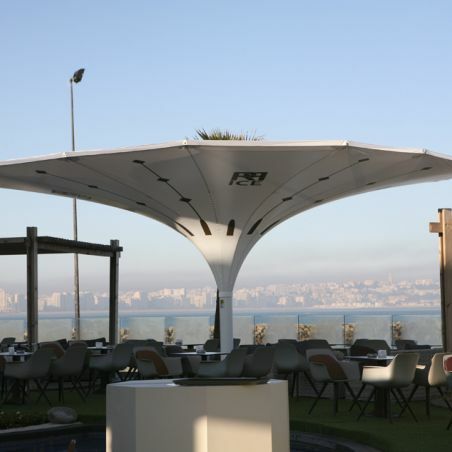 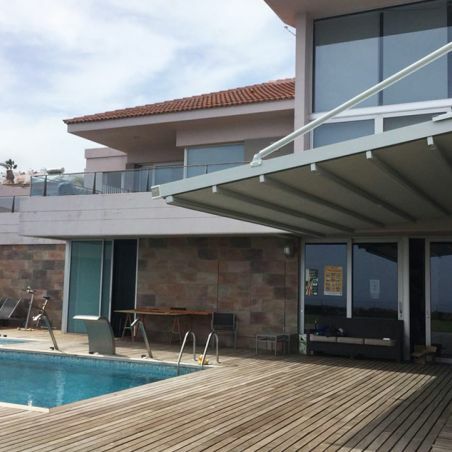 The pergola of the Naga model, with mobile roof and folding curtain, both made of glass, make the pergola adaptable to any atmosphere. 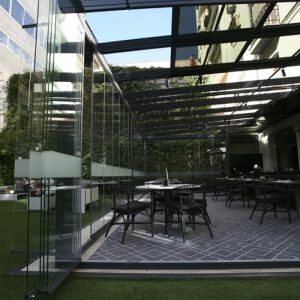 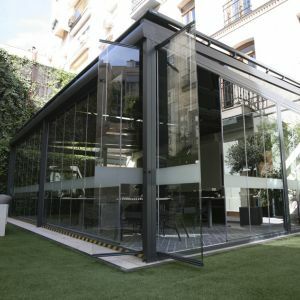 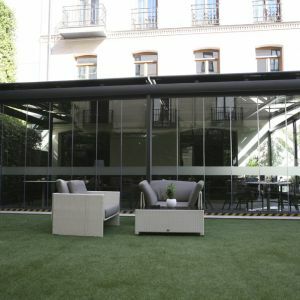 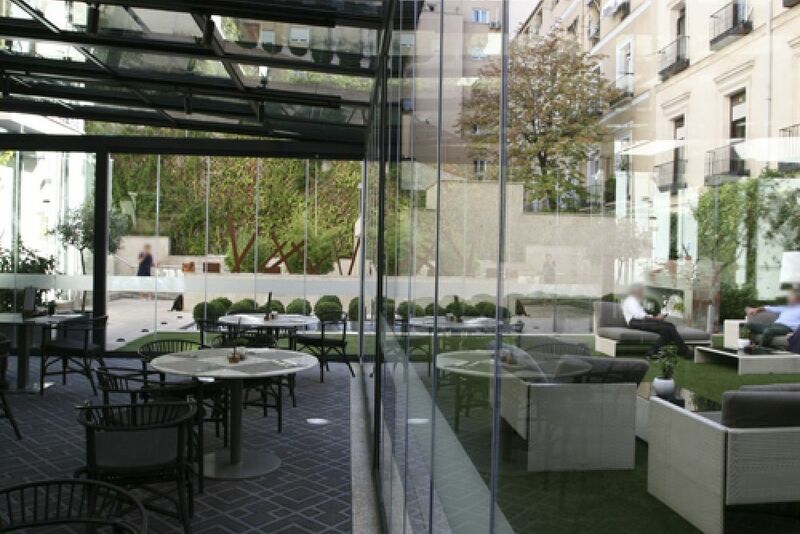 They allow the restaurant to play with an enclosed, heated space in winter, and a terrace open to the garden in summer. 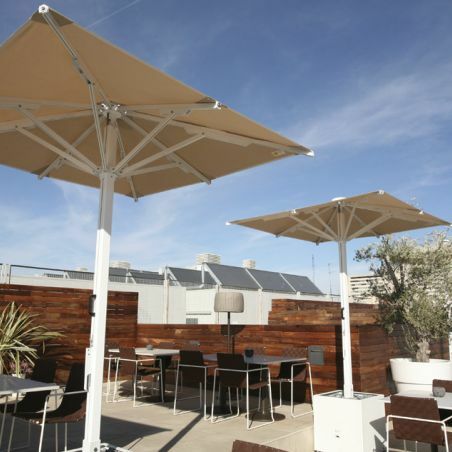 Their functionality is ensured as they can be folded and unfolded with the greatest of ease. 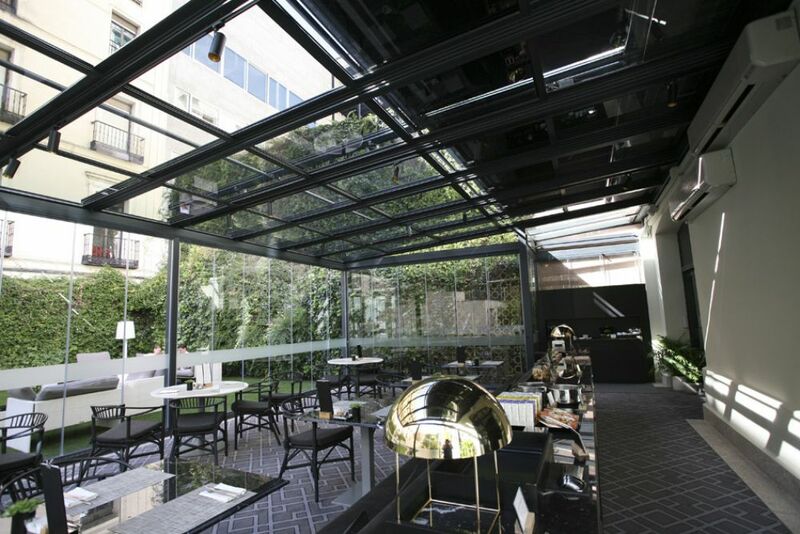 As well as standing out for the quality of its structure, the elegance of the system matches the top category of this hotel restaurant.